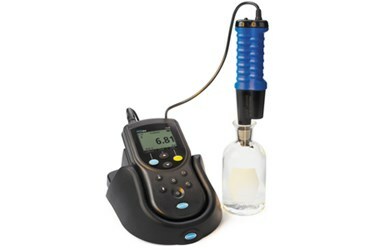 Designed for water quality experts, the Hach HQ40d portable meter is an advanced meter that takes the guesswork out of measurements. Designed for water quality experts, the Hach HQ40d portable meter is an advanced meter that takes the guesswork out of measurements. HQd meters connect with smart probes that automatically recognize the testing parameter, calibration history, and method settings to minimize errors and setup time. The durable portable meter and optional rugged probes are designed to withstand years of rugged portable and field use. HQd meters feature a simple user interface that does not require manuals or training to operate.